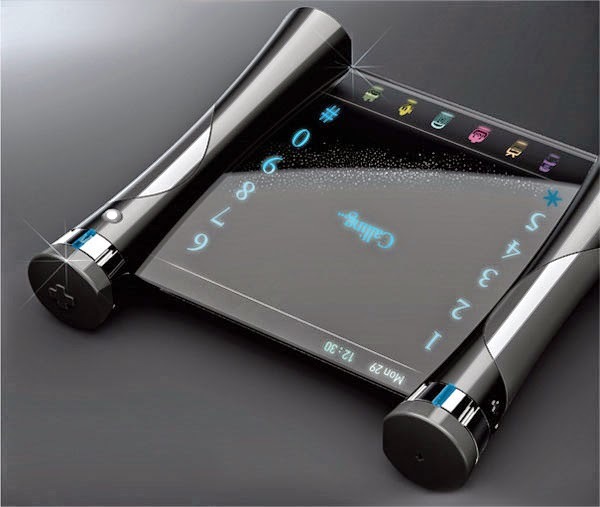 Best Android Market: Visual Sound Mobile Phone Concept Design. Visual Sound Mobile Phone Concept Design. Visual Sound Mobile Phone Concept Design is a device created for the deaf. The phone will act as a voice-to-text converter, so whenever the disabled received a phone calls, the conversation will be transformed into a texts displayed on the transparent screen. The visual sound mobile phone is designed by Suhyun Kim, a student from the Pratt Institute. It featured a modern and futuristic technology where there are two pillar-like holders where you can scroll out the touch sensitive and translucent screen where the disabled can interact with. To respond to the calls, Visual sound mobile phone concept provided a qwerty touch board where the disabled can type their thoughts in.